Both of these products are holy grails for people, and come with very positive reviews. I decided I needed to try them as well, because I'm always looking for new amazing products. You're seeing that right! 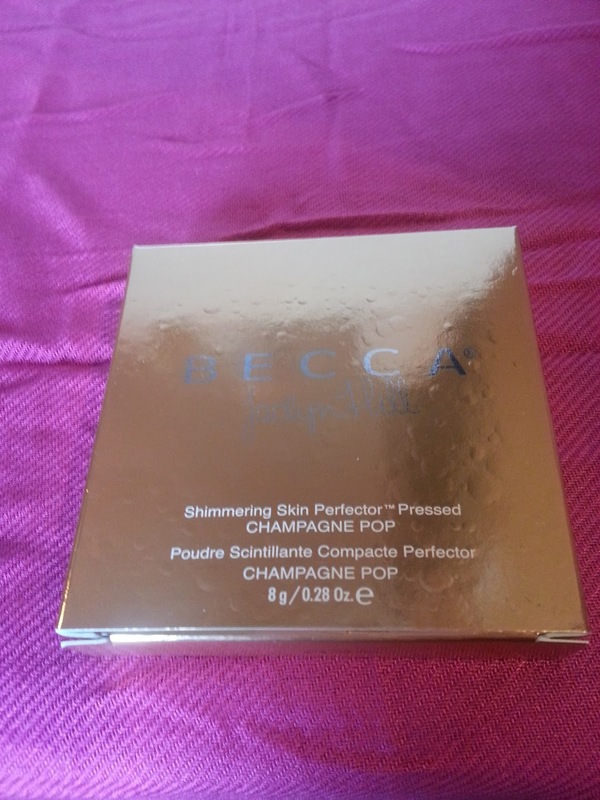 Becca x Jaclyn Hill Shimmering Skin Perfector - Champagne Pop and Urban Decay Naked Skin Concealer in Fair Neutral. 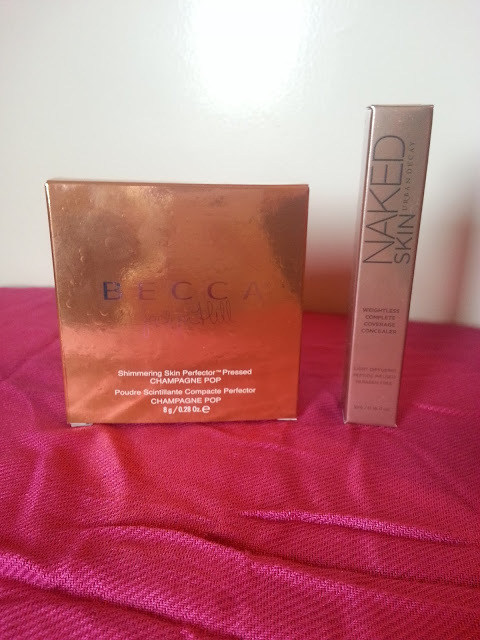 Both very very popular products that have made their way around the internet and bloggers and just beauty lovers. I finally decided I needed to get my hands on them as well, so that's what I did. So EVERYONE knows about this highlighter. It's been a limited edition product for the longest time and always sold out. Sephora finally announced that it was going to be a permanent item recently, and again, it's been sold out. I signed up to get a notification to let me know once its back in stock. When I got the email, I didn't even wait. I logged into my account and placed my order. 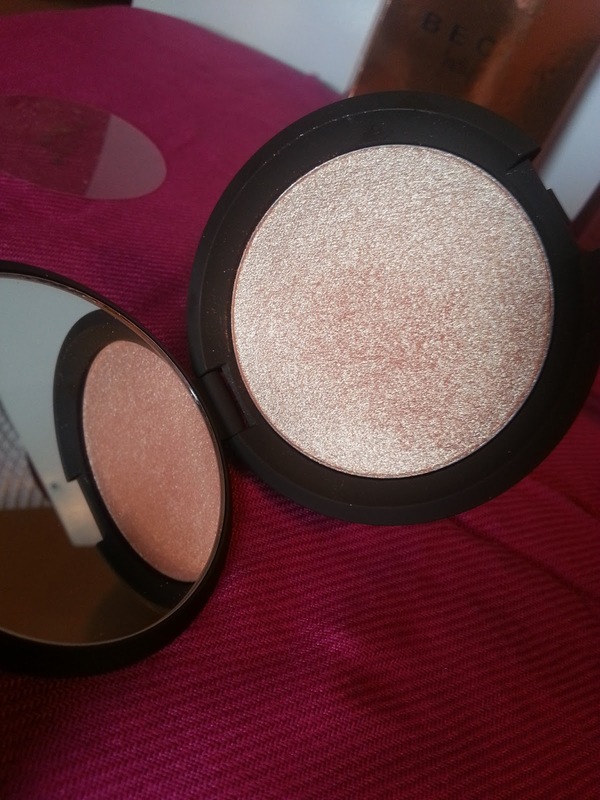 Champagne Pop is described as soft white gold with pinky peach undertone. I've read multiple reviews saying that this highlighter works for everyone, and I figured with a pinky peach undertone, it just may work on my pale, pinky undertoned skin. It's just so beautiful! I can't believe I waited so long to get this. 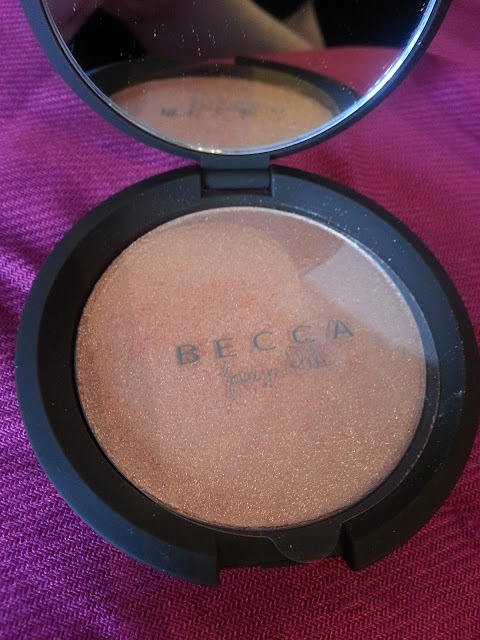 I did receive a cream highlighter by Becca in my Lucky Bag 2016, but it was in the shade moonstone. And I love that shade as well. I was seriously contemplating getting Moonstone instead, but in the powder version. For some reason the cream doesn't blend as nicely on my skin. Look at that highlight! I love it! I find if I do apply it a little too heavy handed, then it looks a little too gold on my pale skin, so a light hand is definitely needed. 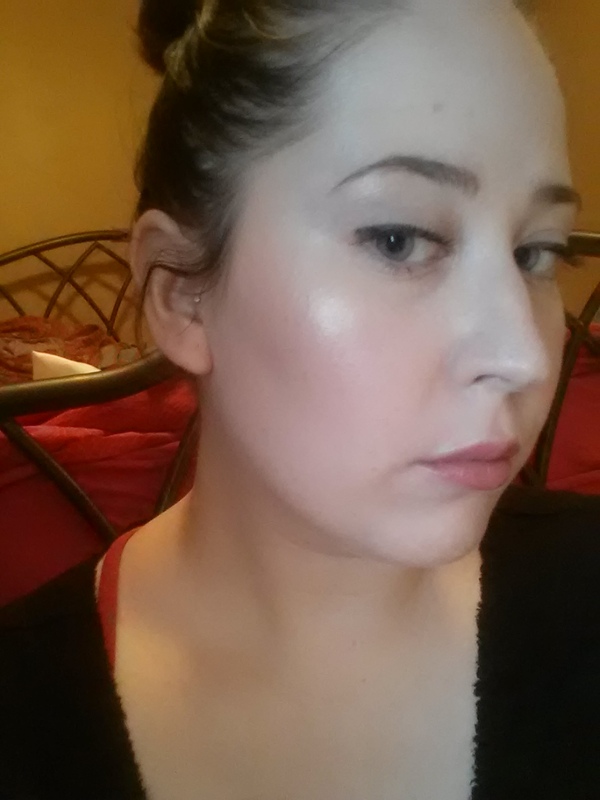 But it's so hard to not go overboard, it's such a beautiful highlighter! Ahh! Enough of the highlighter, you all know how awesome it is! Let's talk about that concealer! I purchased the lightest shade they had in their selection of concealers, since I am really really pale. Unfortunately, their line only comes in a neutral or warm skin tone selection, for people like me, I need a cool undertone because I have pink undertones in my skin. I figured just MAYBE fair neutral would work for me if I apply it carefully. As you can see it has a doe-foot applicator. Which is pretty standard on these types of concealers. I actually prefer them to the concealers that you have to squeeze out of the tube. This is probably where my love of this product ends. The shade seems to work just okay for my fair skin. But like I mentioned before, I have a pink undertone, so it does pull a little yellow on me. Not a big deal if I use some powder over top or apply lightly, but here is where the trouble begins for me. This concealer is super light-weight which is great, but it doesn't seem to be enough coverage for my dark under-eye circles. And not just that, it makes my under-eyes look SO DRY. I can apply moisturizer, and under-eye cream, and this concealer still manages to find any dry patches and cling to them. It also creases easily under my eyes. It does cover blemishes alright (I will dab product on my finger, and then use my finger to cover blemishes, just so I'm not touching a blemish with the wand and putting it back into the packaging) but it doesn't sit nicely on my skin either. It looks like it separates, and the DRY PATCHES. Ugh. 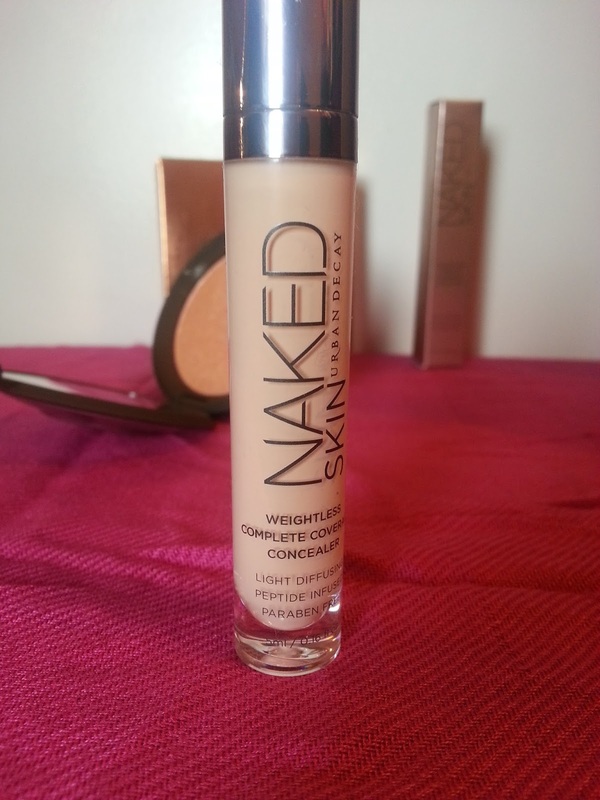 I really wanted to love this concealer since it gets so much love online, but it just doesn't work for me. It does have a little bit of a "paint" smell as well, but it disappears quickly, and I don't find it strong enough to bother me. 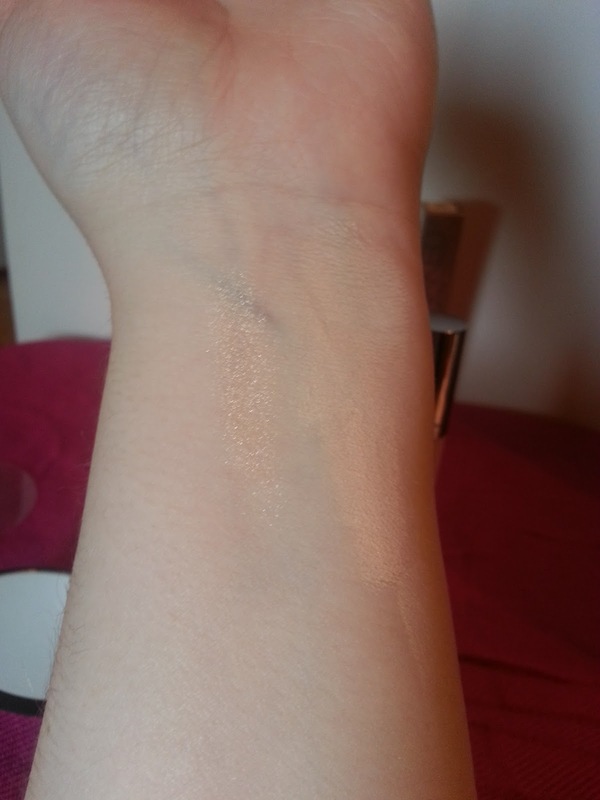 Here's just a little swatch of the highlighter (left) and the concealer on the right. I loved the swatches on my arm, but the concealer just doesn't work on my face. 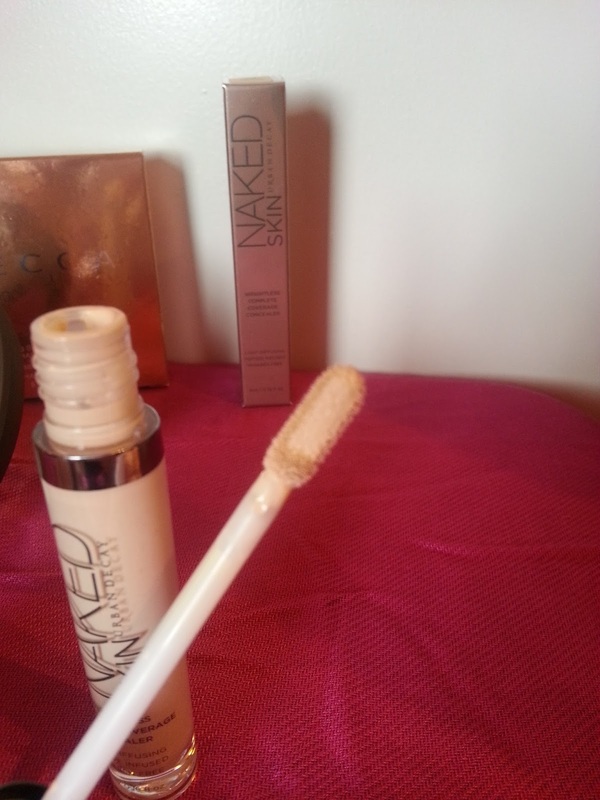 Do any of my readers know if a concealer can be sanitized? I feel like maybe I should sell this to try and get some of my money back. I don't live close enough to a Sephora to make it worth a trip to return it. We are getting a Sephora in our local mall soon, but I'm not sure about the return policy, or when exactly the opening will be.